Charlie Landsman (Port Washington): Armed with an acoustic guitar, comedy songwriter Charlie delivers a unique blend of catchy melodies and irreverent humor as he skewers the NYC subway, toxic masculinity, online dating, and much much more. With over 15 years of performance experience, Charlie covers a wide range of genres, from folk/rock to r&b to club pop to jazz, He has worked at Comedy Central and has performed musical comedy across the US and Europe. Jonathan Williams (Charlotte): Jonathan is a comedian and writer based in Charlotte, NC. He is a regular host and performer at The Comedy Zone, and was selected to perform in multiple events at the 2018 Queen City Comedy Experience. He was the winner of the Judges’ Choice and Comics’ Comic awards at the 2018 Comedy Zone Comedy Battle Championship, as well as the Comics’ Comic award at the 2018 Comedy Zone Fight Night Championship. Alex Garretson (Greensboro): Alex is a comedian based out of North Carolina. He won the Ultimate comic challenge and NC’s funniest contest with his sharp jokes and dry wit. Bill Lake (NY): Bill has performed at the Asheville Comedy Festival, the Funny Bone clubs, and many other venues throughout the northeast. He is a former joke writer for the Late Show w/David Letterman, and the Late, Late Show w/Craig Ferguson. Ben Jones (Greensboro): Ben got his first laughs as a child who dreamed of being a circus clown. Although an odd path it was obvious he was a born performer. As he grew older and endured the cruel reality that is life, he ditched his backup plan of culinary school and began seriously pursuing a career in stand-up comedy. Flash forward over a decade and you’ll find this well respected and hardworking comic on the road crisscrossing the country and making fans in every town he visits. Ben’s show is a nonstop ride, full of energy and outlandish subject matter. Crowds instantly fall in love with his jovial demeanor, infectious smile, and relatable material. His likability is paralleled by very few in the biz. Audiences rave about his strong writing ability and commitment to delivery. He details his adventures on the road as a comic, his long-standing beef with normalcy and his life at home married to a woman who busts his balls at every turn. Ben Jones can bring the laughs in any situation, whether clean or dirty he can tailor his show to suit any audience he’s put in front of. He’s performed in 24 States in some of the best comedy venues America has to offer. He’s shared the stage with Rob Schneider, Bob Saget, Adam Devine, Jon Reep, Maria Bamford and a long list of others. When it comes to being a true comic, Ben is without question “The Real Deal.” Catch him onstage, before he’s on your TV. Lily Schulder (Chicago): Lily is a standup comedian originally from Atlanta and currently living in Chicago. They produce the shows Spicy Chicken Sandwich at Under The Gun Theatre and Stand Up Stand Up at Little Olive Lounge, and perform regularly at The Laugh Factory and on showcases all around Chicago. They are Very Brave. Shari Diaz (New York City): There is never a dull room with the enticing laugh and refreshing atmosphere from comedian, Shari. Born and raised in the Bronx, NY, she switched up her stomping grounds for Raleigh, NC bringing the Nasty North to the Dirty South to show them what they’ve been missing. Her crossover appeal, crowd working skills, and Latin flavor has quickly built a platform and a diverse following ranging from hipsters to moms screaming for a night out. With all the positive feedback, she founded Boogie Down South Productions as an avenue for local comedians to collaborate and bring forth gut wrenching shows. 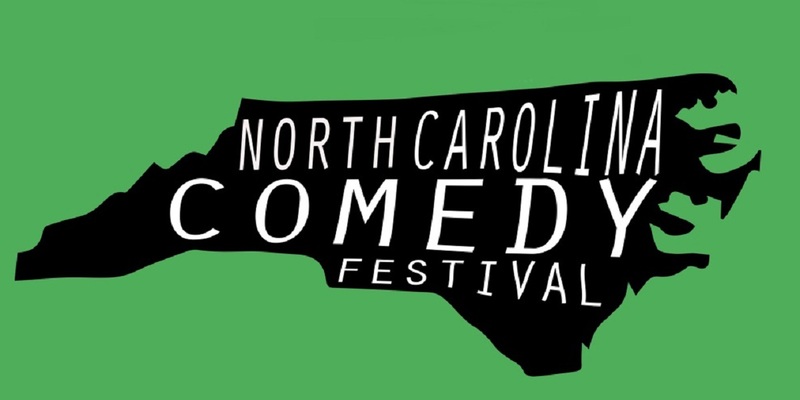 Shari Díaz is a Co-Producer for the first official Raleigh comedy festival, Oak City Comedy Festival. Rene Luna (Greensboro): His mom doesn’t believe in him, but hopefully you will. Rene is an aspiring stand-up comedian who started his career telling inappropriate jokes in awkward situations. Now he’s bringing his views on white people, and why they’re different, to the stage. Paul Ollinger (Atlanta): Described by one articulately-drunk New York City fan as a “white collar Bill Burr,” Paul both embraces and skewers life as a middle-aged caucasian fella. A straight-talking family man, former Facebook sales leader, and Ivy League MBA, Ollinger explores the conflict between his affluence and the middle-class, Catholic upbringing he can’t leave behind. His jokes explore the hypocrisy in religion, political correctness and the desire to keep our data private. Michael Burnett (Los Angeles): Oklahoma native, Michael performs all over the country, but can be see most often at comedy clubs across Southern California. He’s performed at comedy festivals like The Laughing Skull Comedy Festival, The Blue Whale Comedy Festival, Gilda’s Laughfest, and many more. He was a contributing writer for @Midnight on Comedy Central and a writer/performer for the Oh My Disney! Show for Disney Interactive. Sonny Pandit (Chicago): Sonny has been disappointing his parents by doing comedy for quite a while now and began playing the role of “Don’t” in The Don’t We Boys! In 2016. They’re not particularly happy about that either. He was in the finals for Funniest Person In Grand Rapids in 2012 and 2013, performed at Gilda’s LaughFest the past 7 years and was invited to Savage Henry fest in 2016 and 2017. He’s also been invited and performed in Hell yes fest, Toronto Sketch Comedy festival, Sonoma Laughfest, Philadelphia sketchfest and North Carolina Comedy Festival. Sonny is enrolled within the conservatory program at Second City and also performs at colleges and clubs all over the country. He’s also worked on video projects for JP Morgan Chase, Macy’s and whomever else needs an ethnically diverse cast.